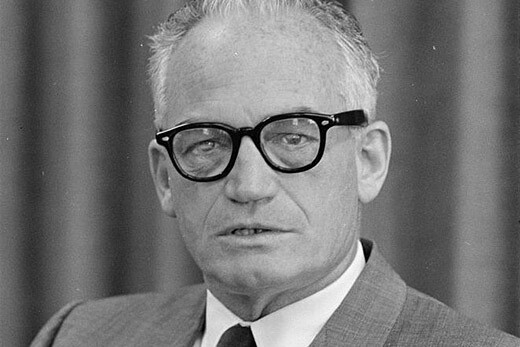 The Goldwater Rule takes its name from a 1964 incident during the failed presidential bid of Barry Goldwater. An article in a now defunct magazine declared, "1,189 Psychiatrists Say Goldwater is Psychologically Unfit to be President." The rationale for the Goldwater Rule — which prohibits psychiatrists from publicly commenting on the mental health of public figures they have not examined in person — does not hold up to current scientific scrutiny, a new analysis finds. Perspectives on Psychological Science is publishing the analysis, which concludes that the Goldwater Rule is not well-supported scientifically and is outdated in today’s media-saturated environment. A preprint of the article is available online. “We reviewed a large body of published scientific literature and it clearly showed that examining someone directly is often not necessary if you compile other valid sources of information,” says Scott Lilienfeld, lead author of the analysis and a professor of psychology at Emory University. As examples of those sources, the authors cite interviews with family members, friends and others who know a person well, and extensive public records such as media interviews, biographies, YouTube videos, social media accounts and other material that may reveal a person’s longstanding behavioral patterns. The authors also report that direct interviews are subject to a host of biasing factors that are difficult to eliminate, including efforts on the part of interviewees to create positive impressions.